> scope? What do the marks mean? thanks! 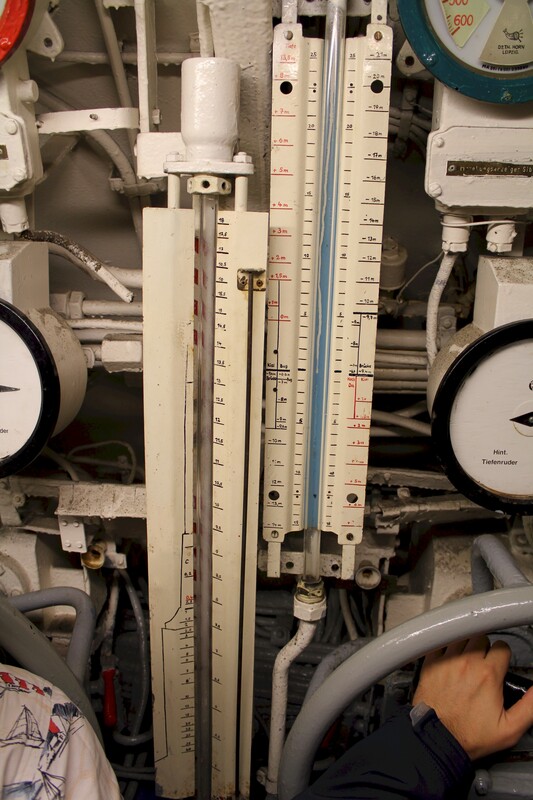 On these two photos, the Papenberg gauge is at left side, the inclinometer is at the right side. 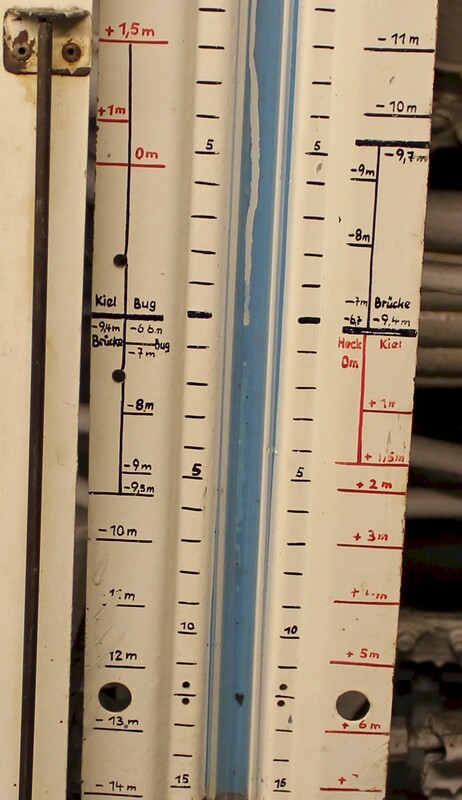 At the Papenberg gauge, at the right side of the glass vertical pipe, you have the depth scale in meters, where you can read, how deep the boat is submerged. At its left side, the scale is in tons of the positive buoyancy. Let's say, that the boat is at the depth 6 meters, with approximately half of the conning tower over the surface. In this state, the boat positive buoyancy is 12 tons. 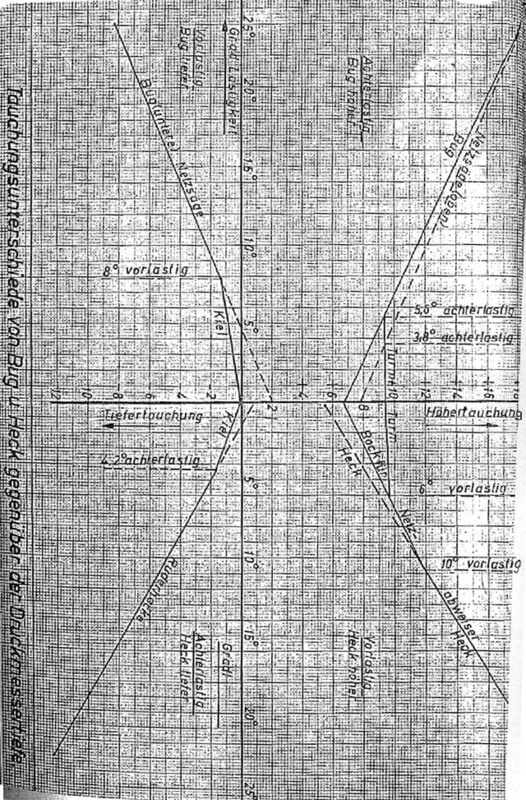 This information is very useful for the L.I., during the trim-dive, when the adjustment of the boat weight is needed (due to usage of fuel, food, torpedoes and so on). So, from beginning, let's say, that after "Fluten" command, all ballast tanks are flooded, but the boat is still at the surface, at the depth of 6 meters. That means, that the boat is too light. L.I. can immediately see, that he need to take 12 tons of water to the regulating tanks, to make the boat buoyancy neutral. 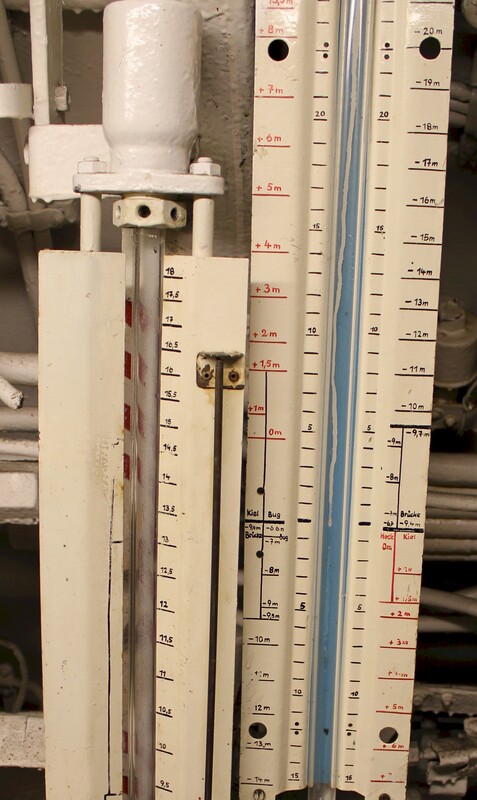 This instrument shows how much the boat is inclined (shows the trim of the boat). At both sides of the vertical glass pipe, the two inner scales are in degrees. The outer scales are in meters, and show, how much the bow (right scale) and the stern (left scale) is below/above the keel level (at the height of control room). 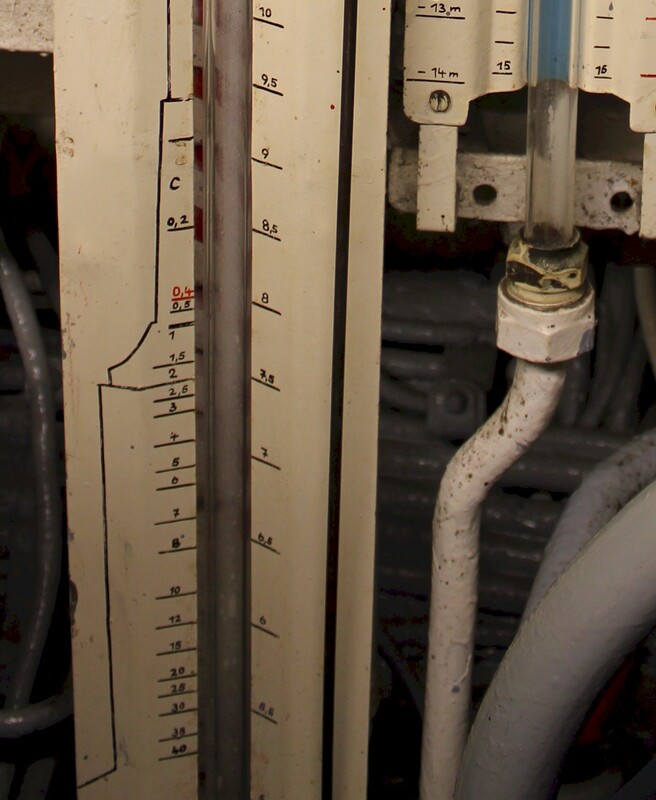 For example, let's say, that U-Boat is bow heavy (Vorlastig), with 6 degrees (the air-bubble is above null marking). You can directly read, that bow is about 1 meter below the keel and the stern is about 10 meters above the keel. included in the "U-Bootskunde für U-Boote Bauart VIIC"